The couple, from its formation and throughout its life cycle, is faced with several sources of stress, from daily stressors (minor stress; e.g., everyday family demands, neighborhood hassles, etc.) to critical transitions (major stress; e.g., the transition to parenthood, divorce, illness, etc.). 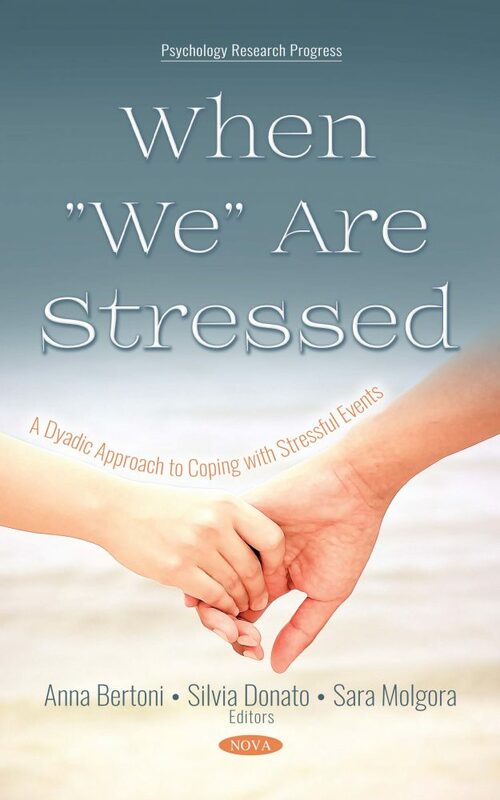 Although in the past stress and coping were considered as mere individual processes, it is now well recognized that, when the stress and coping processes unfold within the couple relationship, a dyadic approach to both stress and coping is essential. Stress can impact both partners at the same time (e.g., financial strain) or only one member of the couple. Nonetheless, even when only one individual is experiencing stress within a couple and communicates such stress to the partner, in fact, both partners are affected by the stressful circumstance and the stress can be considered dyadic (though indirectly). Coping strategies as well could be carried out both at the individual level (e.g., individual coping) and at the dyadic level (e.g., dyadic coping). Specifically, dyadic coping is conceptualized as the interpersonal process of managing stressful events as a couple with the purpose of restoring the individual’s well-being as well as the couple’s relationship quality. The present book is a collection of theoretical and empirical chapters focused on the relevance of a dyadic approach to couples coping with stress. A dyadic perspective is evident in both the conceptualization of stress and coping as well as in the methodology (e.g., dyadic research design and dyadic analytical methods) presented in the different chapters. The book is divided into three sections. The first section is focused on some of the most recent theoretical and methodological issues in couples’ coping. The second section of the book comprises three chapters on how a dyadic approach can be adopted to study couples dealing with daily stressors and family transitions. The third section of the book comprises two chapters adopting a dyadic approach to the study of couples coping with illness. Finally, the fourth section of the book includes three chapters presenting dyadic interventions aimed at helping partners cope together more efficiently. The book is an ideal source of reference for relationship researchers, psychologists, mental health counselors, social workers, and advanced students who work with couples dealing with stress.